Hoka One One, an athletic shoe company best known for oversized outsoles, dubbed "maximalist" shoes due to extra cushion. This is in contrast to the minimalist shoes trend that was gaining popularity at the time of the company's founding in 2009. To emphasize the product feature, creative shop Kayser&Co. envisioned “cloud runners” to convey the lightness of the shoes and the cushion that gives runners a sense of flying over the earth. Kayser&Co. selected Marek to capture runners, dancers and gymnasts that would combine with cloud imagery to create dreamlike silhouettes of runners inspired by the work of Belgian surrealist René Magritte. Triggering the camera was done with a handheld wired remote. “Having a big handgrip with a thumb button on top allowed for the most reflexive, quick reaction to nail the timing. Also, I found I got better results when I viewed the approach in my peripheral vision. I think we have an evolutionary survival trait of being able to detect motion in the corner of our eye.” Getting the timing right consistently was important to not have wasted takes and miss the perfect performance. Entertainment giant Disney set out to leverage its diverse media portfolio by promoting Marvel Studios Iron Fist series on its cable sports network ESPN. Marvel’s Iron Fist was created for Netflix based on the Marvel Comics character of the same name. 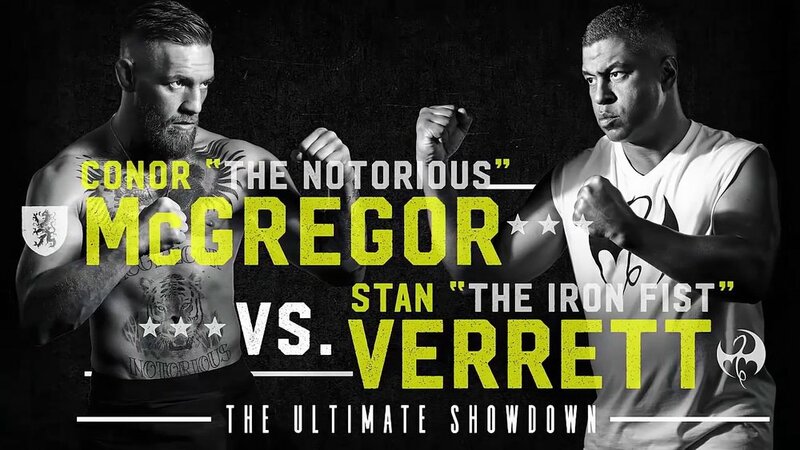 To garner attention to the new series and tie in a sports oriented theme that would feel right at home on ESPN, world renowned superstar UFC fighter – the notorious Conor McGregor was brought in to be pitted against ESPN Sportcenter anchor Stan Verrett in an ultimate showdown fight where Stan can focus his chi into an Iron Fist and pose a true threat. ESPN working together with Marvel Studios brought in Marek to shoot the fight posters of the fictional fight between Stan and Conor. 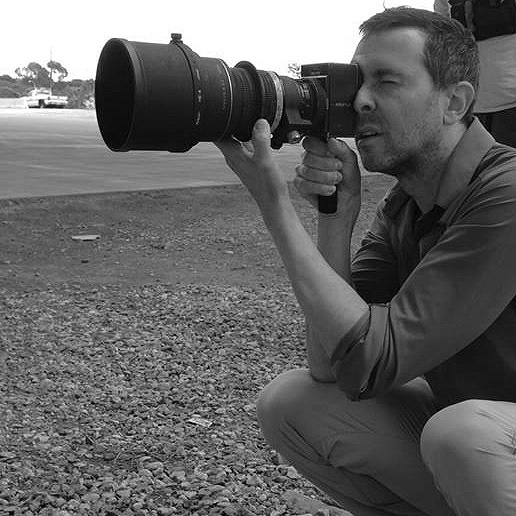 “I also needed to build into the lighting setup the flexibility to very quickly adjust from a showdown side pose where McGregor and Verrett face towards each other and a more confrontational pose where each of them face menacingly towards camera.” This was achieved by mounting the main light on a boom arm, so it could be swung into the different positions that worked for the different angles. Modular Team Portraits that have some key advantages over the usual group portrait approach. Once the style and layout of the images is determined, part of the planning is deciding on how to best arrange the team. A visual layout that shows everyone’s placement in the photo serves as a blueprint for the actual photography. When it comes to image capture, everyone is shot individually. The huge advantage is that everyone gets to look their best, something that, short of a miracle, isn't achieved in group shots. Someone always blinks or has an awkward smile. Those issues are squashed by putting together a group shot composed of everyone’s best individual shot. Additionally - and this is the part that makes it a great long term investment, let’s say someone leaves for another company, or someone new is hired... with the modular approach it’s a simple update. People are added and removed easily. There's no need to re-shoot everyone. Besides, it’s nearly impossible to get everyone together all at once with everyone’s busy schedules in the first place. The design of this shoot was specifically tailored for luxury real estate firm Engel & Völkers. The assets incorporated their signature branding, and were created for various marketing collateral including postcard mailers, magazine ads and website usage. Some of the treatments include negative space for typography design to be incorporated right into the image. Cinemagraphs combine my love of still photography and motion photography like few projects can. They also create a peculiarly strong viewer response. Surprisingly, most people I’ve shared them with haven’t seen anything like it before. It’s that little bit of unexpected movement living inside of a still photo that is a total magic trick. It gives people goosebumps. I’m looking forward to creating more of these soon. Cinemagraphs have a powerful capability to engage because they are a fresh experience for many, but they need to be properly executed to succeed. I think they really need to speak in the language of still photography first and then they should surprise the viewer with the unexpected, surreal motion. Without that they’re just a looping video clip GIF and don’t have the Cinemagraph magic. This past January I traveled to San Francisco to shoot stills and video for the latest GMC ad campaign that celebrates the art of precision. The campaign’s focus is centered on the brand’s uncompromising attention to detail. The first ad roll out aligns itself with professional baseball, a sport that centers on the art of precision. Specifically, the aspect of throwing fastballs toward the plate with the sort of exactness that echoes a foundational value of the GMC brand. Enter Jeremy Affeldt, a pitcher for the World Series champions – the San Francisco Giants. He was the main subject of the shoot and the first of three broadcast commercials that recently began airing. Jeremy Affeldt. Relief pitcher for the San Francisco Giants. Some of the shots involved being right in the path of his 90 mph fastballs. Granted I was protected behind some boards and Plexiglass – for the most part. Although I tried my best to be ready for the loud impact of the ball hitting the safety barrier I was behind, after the first pitch I quickly realized that no amount of mental preparation could have lessened the extreme jolt of it actually happening. A critical aspect of this assignment was to shoot various background photos around AT&T Park that could work for a masthead image containing a lineup of the entire GMC line. The extremely wide aspect ratio of way these images live on the GMC.com homepage made finding suitable compositions incorporating the stadium exterior very challenging. Because the 5 vehicles would be added in later using CGI, it was really important to understand the sizes and orientations of the vehicles in the shot even though they weren't there. Careful measurements and a little imagination were needed to make it work. Normally I’d want to shoot tethered to a laptop in this situation, lining up the shot for the agency and client with mock-up overlays, but this shoot it wasn't really practical. Running around all over shooting additional stills and the video interviews made it impractical to commit to a more elaborate setup. Although the request was to capture the stadium exterior, after scouting the entire perimeter, it became clear that there really weren't any ideal angles that would work well for the type of shot needed. I ended up shooting something outside the stadium to have it but also made sure to get several angles inside the stadium as alternates that would definitely accommodate the vehicles. After presenting the options once we got into post production, the client agreed that the interior would work best which was great news. To go along with each potential background photo I needed to use a second camera to also capture a spherical panoramic image, often referred to as an HDR Dome. HDR is an acronym for high dynamic range, “high dynamic range” because multiple “normal dynamic range” images, taken at different exposure levels, are used to store the actual brightness of light sources in the scene into a special file format designed for this purpose. This special image is used by CGI artists to generate the reflections and lighting that will photo-realistically integrate the CG cars into the background. Final image with CGI vehicles integrated. Masthead image usage on GMC's homepage. In addition to the still photography, I also needed to get a video interview with Jeremy. If he hasn't gone through tons of media training, then he’s a complete natural in front of the camera. Or both. Besides being a gifted athlete that helped his team win the 2014 World Series, he was hilariously funny, constantly cracking jokes with us on set. It will be very exciting to see how this energy efficient design performs at the 24 Hours of Le Mans in June. This time-lapse footage is shot at night where a half moon is lighting cool looking cloud formations flowing over the Pacific Ocean after a storm front passed through. You can see the rotation of the Earth in the movement of the stars. Flights from nearby LAX streak across the sky and sometimes through the clouds. There is a lot more apparent light in the footage than is visible to the human eye. This is a personal project that was shot using a Nikon D4 camera for its ability to see in the dark. The footage was developed in Adobe Lightroom and then edited and color graded in DaVinci Resolve. Music is "The Night Comes Again" by St. Lucia. It starts with shooting the background after much thought and planning goes into how the specific vehicle will look in my shot. When I have a background image I think will work, I'll then set up a different camera where the car would be and shoot a panoramic image of the surroundings. This records everything that's going be reflected in the car. The next steps involve setting up the 3D data of the car and placing it in the right position in my background image. Finally, the 3D data and the panoramic image are used to calculate all the lighting and reflections to generate a realistic image. With a little color adjustment and retouching we get the final image below. I'm glad the Professor of Electrical Engineering they interviewed for the article appreciated the tracking sphere detail. Whenever I work in CGI I always strive to incorporate those kinds of realistic elements. Research is one of my favorite aspects of all my projects. SHOOT Online has called attention to my latest commercial which has been airing on TV in Canada as well as in select movie theaters. This big car campaign also included print media, point of purchase and interactive assets. Check out the link and watch the spot: Subaru's "WRX STI vs. The Drones"
Several months ago I had the pleasure and excitement of shooting the infamous eye that has become the iconic image of this compelling series created by Fox and National Geographic. This beautiful eye belongs to our project producer, Emily Balay. It's by no means her first television appearance, but this is definitely her closest close-up. We are always looking forward to the next episode! The opening reception will be held on April 26 at the Helms Bakery Building in Culver City followed by 2 month showings at the ad agencies: TBWA\Chiat\Day, Deutsch and Ignited. The work will also be displayed at photo la 2015. Marek Glaser "Attendance Is Mandatory" Photograph, 2013. Marek Glaser's "A Small Town" is featured in this exhibition of 44 images that highlight our integral connection to our surrounding environment and the changing aspects of our landscape. With images ranging from urban settings to idyllic naturescapes, this exhibit presents a diverse selection of engaging scenes from around the world. Marek Glaser had 4 images selected by Anne Lyden, Associate Curator at the J. Paul Getty Museum for this 100 photo exhibit. The artists featured were challenged to submit images that expressed and demonstrated their personal photographic eye without the constraints of commercial assignment parameters. The exhibition reopens January 4, 2013 with a free public reception from 5:00-8:00pm and will continue through January 18, 2013 at the Emmanuel Gallery, a tri-institutional non-profit art space in the heart of downtown Denver, Colorado. There are 3 images created by Marek included in this curated exhibit that showcases the personal work of professional photographers. A total of 16,905 entries were submitted by artists from 77 countries around the world for this juried competition. The judge for this exhibit was Julian Cox, Founding Curator of Photography and Chief Curator at the Fine Arts Museum of San Francisco. A limited edition print titled “Small Town” was one of the 200 pieces included in the show. Marek Glaser "Small Town" Photograph, 2012. The following photo was honored with 1st place in the People + Lifestyle category. Three images selected by the Getty Museum’s former photography curator Gordon Baldwin for this 100 photo exhibit. The artists featured were challenged to submit images that expressed and demonstrated their personal photographic eye without the constraints of commercial assignment parameters. Check back for the latest updates and events.